This Thursday, our neighborhood has a chance to weigh in on the future of the Freedom House homeless shelter run by the City Department of Homeless Services (DHS), 316 West 95th Street. The Thursday, October 4th meeting begins at 6 PM in the PS 75 auditorium, 735 West End Avenue, between 95th and 96th Street. We urge our neighbors to attend, and make your voices heard. Top officials from DHS will be on hand to conduct the meeting and will be joined by our City Council Member, Helen Rosenthal. “This shelter has caused a number of problems in our neighborhood,” says Mr. Biller, who serves on the Freedom House Community Advisory Board as a community representative with Amy Barr of N90s. The resulting chaos inside the building, and on the street, is a source of constant disturbance for neighbors and the legacy SRO tenants who suffer daily at the hands of City clients. In addition, the City and its current vendor have done a poor job of screening clients. The vendor is also paid under their contract to provide employment counseling services. They have been unable to provide the name of a single client they’ve helped find a job. See you Thursday, October 4th, PS 75, 6 PM. The building we know now as the Williams was once the Marcy Hotel, an elegant circa 1920s property designed by Emery Roth. Brack Capital will be presenting its plan to restore the 15-story building’s façade to its former glory, reopening around Spring 2021 as luxury condominium residences later this month to the Landmarks Preservation Commission. The restoration includes the front entrance marquee, stripping off the painted-over limestone base, and widening corner windows. The firm has worked with a historic preservation expert to ensure that this property will be restored in the spirit of Emery Roth designs. New additions include one extra story, setback 15 feet from the roof so it will not be visible from the street, a pool, and an eight-story extension with parking for several cars, replacing a small parking lot on West 95th Street. The property was purchased in 2015 from The Salvation Army, which is relocating the retirees who live in the building now to a new building it is constructing on East 126th Street. The Salvation Army is paying the moving costs of its residents and have given them a three-year rent freeze when the charity completes its project in 1st Quarter 2019. The group has been scaling back its operation of retiree facilities in recent years. 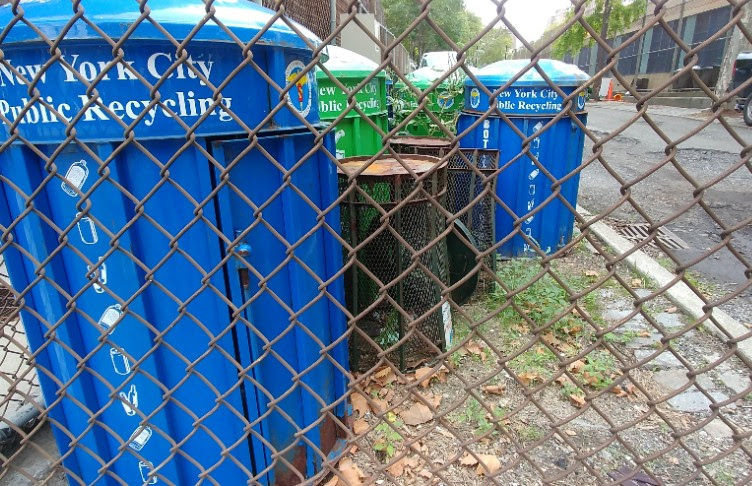 The Community Board, along with various elected officials continue to lobby the Sanitation Department to return trash receptacles to all street corners in our neighborhood. This summer, half of all corner cans were removed without public notice or input. While Sanitation claims it took this action to halt the use of public garbage cans for household trash, many public officials have objected to the removals, while raising questions about the real cause, like this may be budgeted related. The Commissioner’s office told N90s that because we are a residential neighborhood, we had too many cans. Council Member Rosenthal questioned whether Sanitation could know it was the specific cans they removed that had inappropriate items. We ask our neighbors to call 311 when you see an overflowing trash receptacle. Have the time and location handy. This is a very effective way to document the negative consequences of this rash action by Sanitation. ← N90s’ Security Patrol Guards Making Neighborhood Safer!